The table below lists the 27 rural areas in Co Offaly in the order they were connected – for example, Lusmagh was the 21st rural area in Ireland out of 792 to receive electricity under the scheme. This table also includes 7 rural areas that cross Offaly’s county boundaries: Carrig, Co Tipperary; Horseleap, Moydrum and Ballinhown, Co Westmeath; Lullymore, Co Kildare; Garrymore, Co Laois; and Lisdowney, Co Kilkenny. 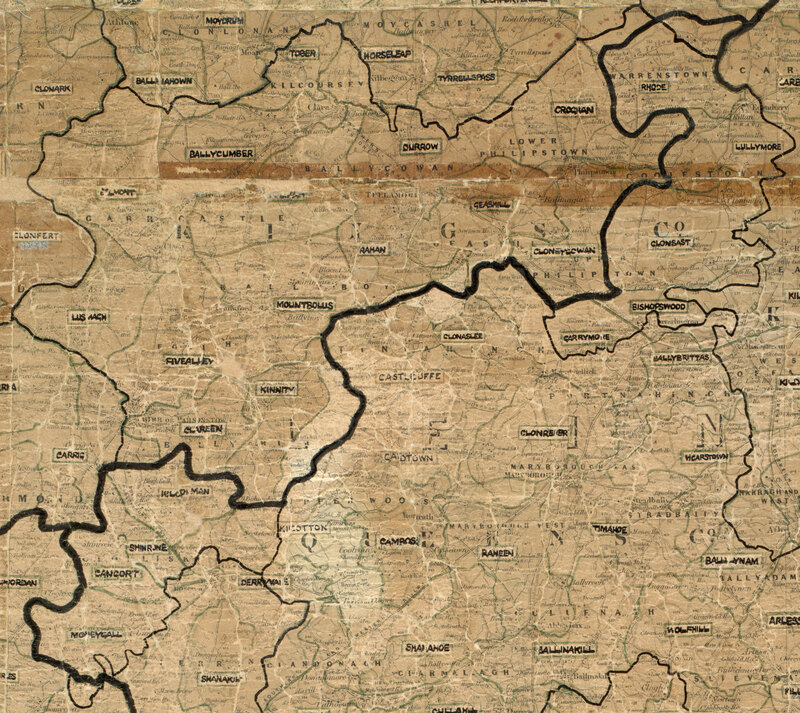 To view the original map used to plan the Offaly (AKA King’s County) rural areas, click here. Delighted to see the Offaly records on line, and especially Croghan with 264 consumers. Wonderful records for our historians to examine in the context of the development of rural Ireland. These are the areas not often spoken about and which are needed to be understood better in order to write the national historical picture on Irelands development.